By Brian Lokker. Published July 18, 2016 , last updated September 12, 2018. For coffee lovers who enjoy handmade jewelry, these coffee bean earrings by Madres Collective make a beautiful gift. The feminine designs feature Dominican coffee beans entwined with artfully wrapped lightweight 16-gauge aluminum wire. But these coffee bean earrings not only look good, they also do good. Sales of the earrings, which are available at Amazon.com, help to improve the lives of impoverished rural women and children in the Dominican Republic. Madres Collective is a jewelry collective founded in 2011 in Petaluma, California, under the auspices of nonprofit Una Vida. Una Vida helps poor families in the Dominican Republic renovate houses and provides assistance to local schools and orphanages. Madres works with women in Los Pinos del Eden, a rural mountain community in the southwestern part of the country, about a day’s walk from the Haitian border. Madres provides the women with tools and trains them in artisanal jewelry-making techniques. Madres says that one hundred percent of the proceeds from the sales of the earrings go to paying the Madres artisans and investing in projects in the Los Pinos del Eden community. The women use their income to pay for food, medicine, and other basics for their families. Some also use the money to invest in their own education. Madres Collective coffee bean earrings are available in three designs. Two feature a single bean, one with a trefoil design and the other a simpler twisted drop design. The third earring design features two beans. 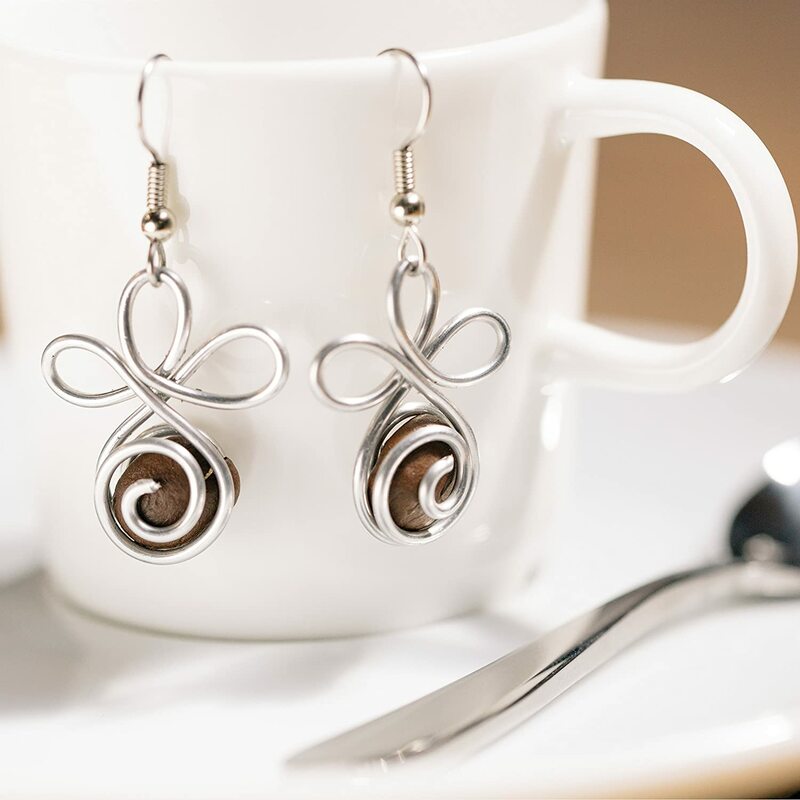 In all three earrings, the beans are wrapped with a beautiful swirl design that suggests cream in a cup of coffee. In addition to the coffee bean earrings, Madres artisans make earrings in a variety of other styles, including hoops, swirls, and heart designs, as well as other artisan jewelry and gifts. The Proceeds of all the earrings support the Madres artisans, but of course the favorites at Coffee Crossroads are the coffee bean designs. Surprise your favorite coffee lover or barista with a gift of coffee bean earrings by Madres Collective. She’ll love the earrings. And you’ll be helping to improve the lives of impoverished women and their families. To learn more about Madres Collective, visit its website at madrescollective.org.